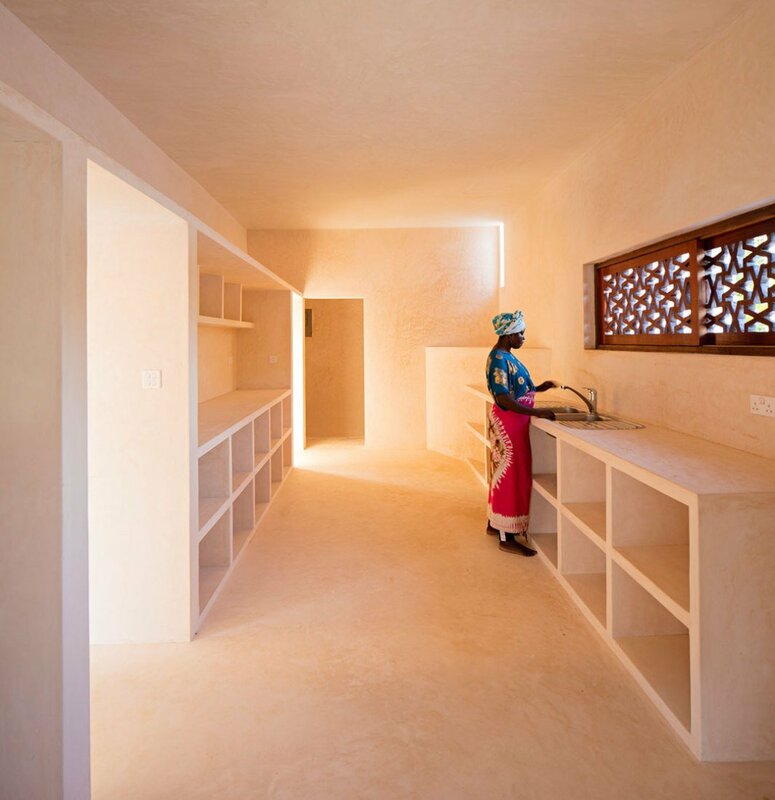 Tulia is a contemporary House designed by the architect Alberto Morell in Kenya using local materials in the respect of the environment and inspired by the traditional Swahili construction technique. 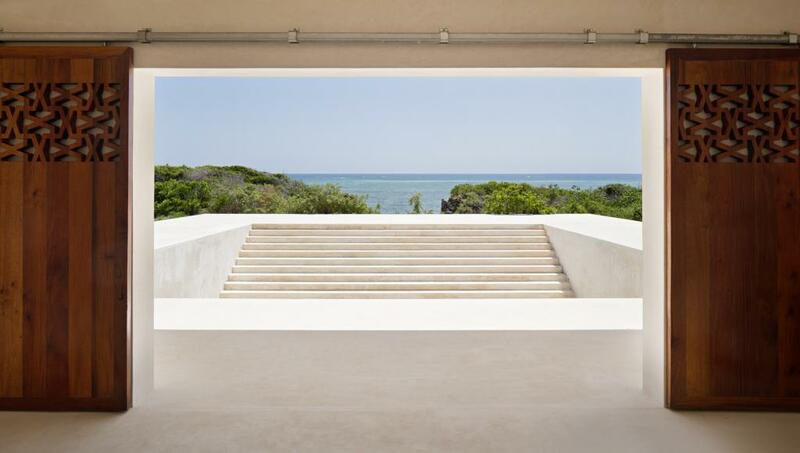 The result is a magnificent home overlooking the Indian Ocean coast. 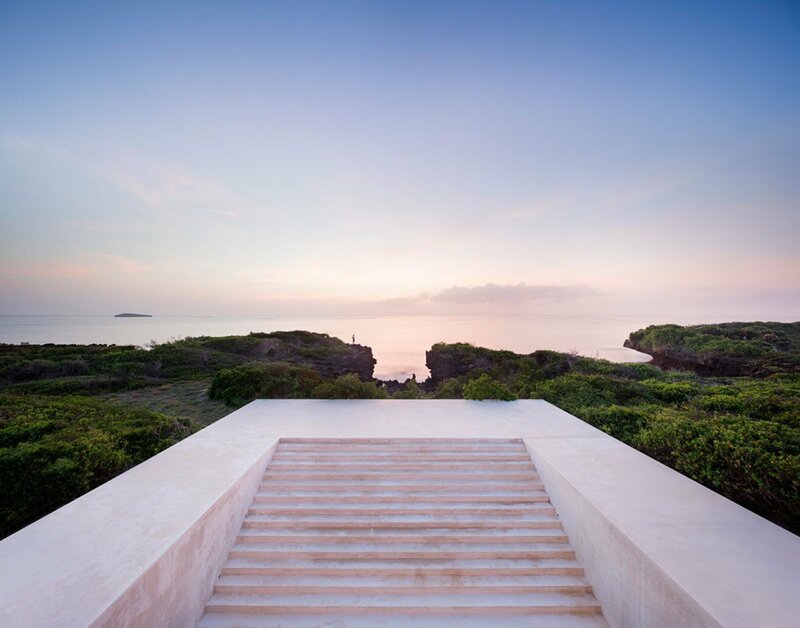 From three acres of land, the house is placed in the area situated between the sea entrance in the coral cliffs and the back part of the mangrove. 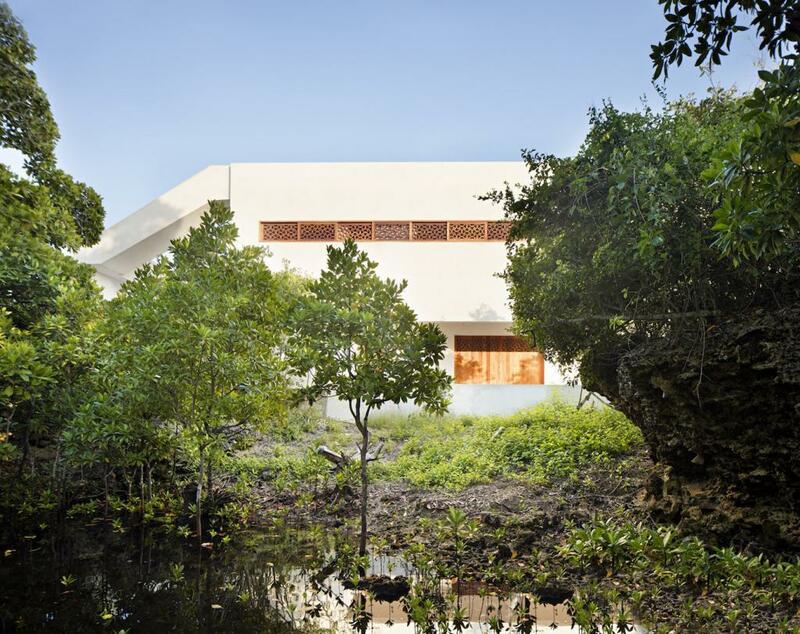 Thus, the house opens to the Indian Ocean on the upper floor and coincides with the mangrove on the ground floor. 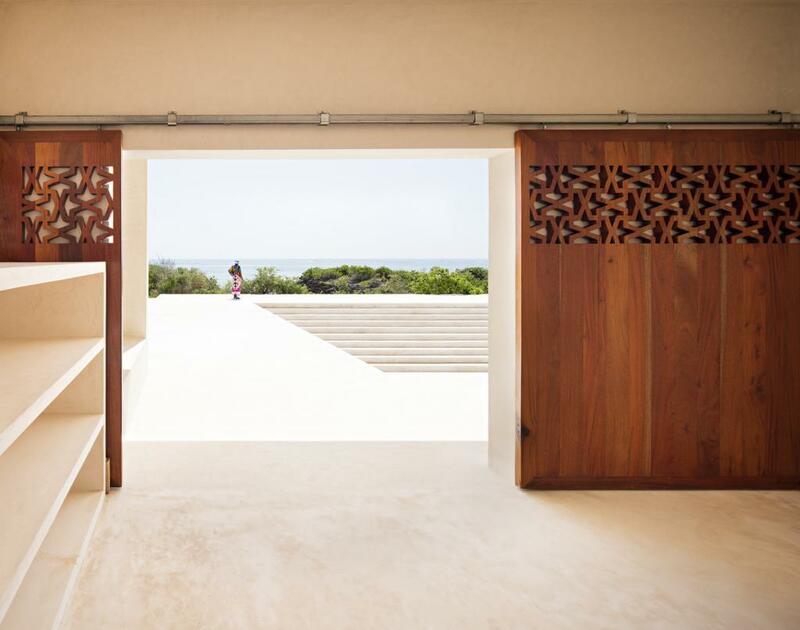 This position between the entrance of the sea and the back of the mangrove, ensures natural ventilation in this Kenyan coast with a humid and warm weather. The project idea begins on following the original topography from the low level, where the entrance of the house matches the mangrove, to the platform situated on the high level, matching the cliff. In this part of the topography you have the horizon view of the Indian Ocean, framed by the cliff entrance. The transit from the bottom of the top is made by a staircase of 9.90 meters wide, a journey made by nature before building the house. 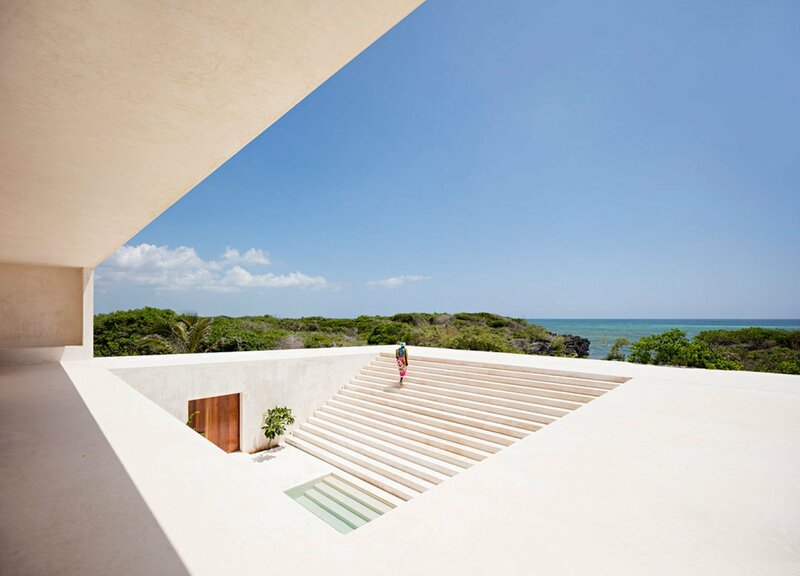 The seas entrance in the cliff determinate the width of the stairs and the width of the house courtyard. This courtyard has a small sweet water pool and connects the ground floor and the upper floor. There is no other communication between both floors but this stairs. So in this way we can say we have two overlapping idea houses in one; the courtyard-house downstairs and the platform-house upstairs. The common areas are established on the ground floor; the living and dining room, the kitchen and the guest rooms. On the top floor we can find three small apartments withe a little kitchen and bathroom in each of them. The house is built from the cheapest local materials. Thus, the structure-columns and slabs are built in concrete, and the space in between the structure is filled with small coral stones acquired in the nearest local quarry. The finish of floors, walls stairs, etc. are made in stucco, called Lamu finish by the native people, a very clean, soft and resistant finish. All carpentry, doors and windows are made of mahogany two inches thick. They are carved following a geometric pattern of the mosaics from the Alhambra Palace of Granada, Spain. 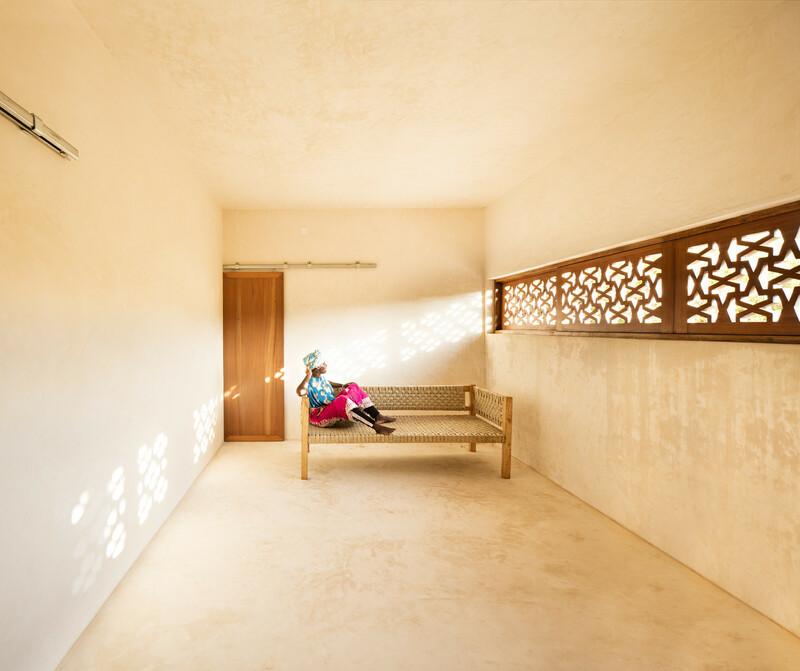 This pattern has had an important influence in some Muslim buildings of this Swahili area in Kenya. The interior space is configured with screens or diaphragms to establish a continuous and compartmented space. 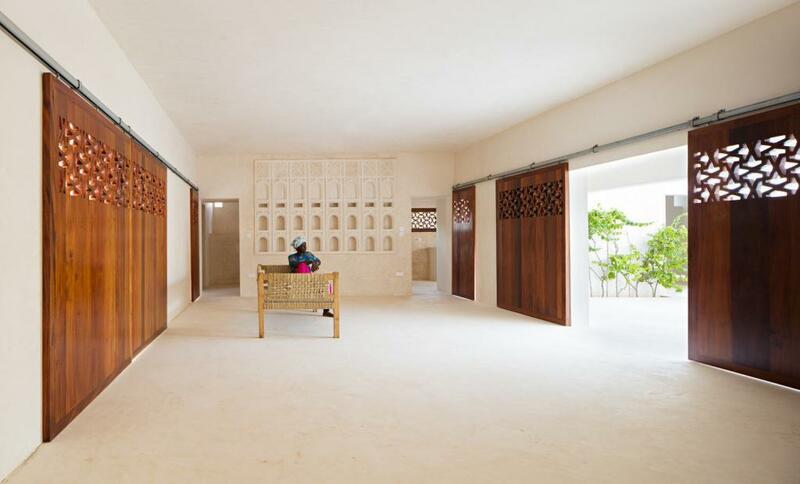 This type of space is typical of the ancient Swahili architecture used in the Kenyan coast, as well as in the Muslim architecture of every part of the world. For more Africa – inspired – Architectural stories join the Art Powerhouse !